5 Reasons Why You Need to Take Time Off Soon! If you haven’t planned anything yet, we want to encourage you to do so. Holidays are important, not only to celebrate key events in our history, but to step away from our typical rush-rush, busy lives and give ourselves a moment to breathe, enjoy each other’s company, and have a little fun. In a recent study by the United States Travel Association, researchers found that Americans let 662 million vacation days go to waste each year. Why is this? There are several reasons, but one of the main ones is a simple lack of planning. Those who made vacations a priority and planned them out were more likely to actually go on vacation, while non-planners took only a few days or none at all over the course of a year. It’s not too late to plan at least one nice day for yourself this week. Here are five reasons why it’s super necessary for you to do so. First of all, you’re less productive when you work too much. Scientists have found that at a certain point, working harder or longer doesn’t help, and the brain rebels. Your productivity and energy suffers, and you actually become less efficient. The brain is much like the rest of the body—it gets tired. In fact, some studies show it actually tires before we get tired physically. It consumes over 20 percent of the body’s calories, even though it takes up only two percent of the total body mass. Too much time on task overtaxes it, and leaves you feeling mentally spent, depleted, and burned out. Getting away, though, can help you actually perform better when you return. In one study of employees at a professional services firm, researchers found that for each additional 10 hours of vacation time employees took, their year-end performance ratings improved by eight percent. Getting away from work, though, can provide significant work-stress recovery, so that you can feel refreshed again. Doing something different can also help boost your creativity. 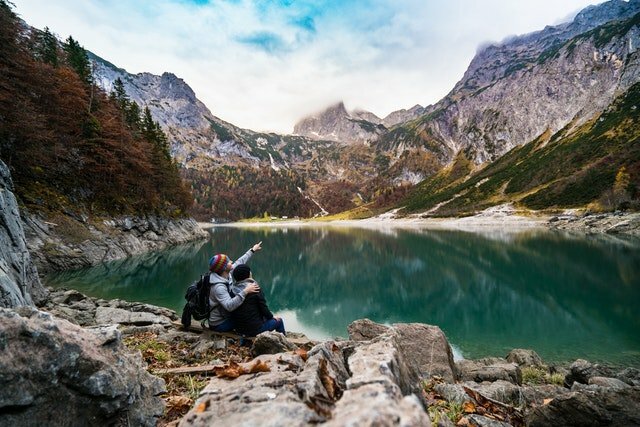 Getting away for a few days to go hiking, for example—without a cell phone or computer—was found in one study to help participants score 50 percent better on a creativity test. You’ve heard that chronic stress puts you at risk for several health problems, including heart disease and stroke, diabetes, cancer, and more. It can also affect your skin, increasing risk of inflammation and redness, and even acne breakouts. Getting away from it all—even just for a day or two—can help you relax and regroup so you’re not feeling so under-the-gun all the time. In a 2016 study, researchers recruited healthy women to live at a resort for six days. They took blood tests at both the beginning and end of the study period, and found that the time away improved regulation of the stress response, boosted the immune system, and improved brain health. All participants also reported improvements in overall well-being. If you want to live a long and healthy life, make sure you take time off each year. In a 2000 study, researchers analyzed data from 12,000 participants at risk of heart disease over a period of nine years. They found that those who took regular annual vacations had a lower risk of death during the study period than those who skipped their vacations. In another study, those who skipped their vacations for five consecutive years were 30 percent more likely to suffer from heart attacks than those who took at least a week off each year. Even missing just one year’s vacation was associated with higher risk of heart disease. When we’re running around dealing with our daily lives, it can be tough to find quality family time. We interact with those we love in small snippets of time, a passing here, a text message there, until we can eventually lose touch. Much of the conversations we do have revolve around the daily routine, instead of things that are more important. Planning a few days away together can help you bond again with your family, and can also help you grow more together. Getting away where everybody can enjoy themselves provides a different dynamic that opens communication and allows each member to relax and leave the stress behind. Holidays are also where families form many of their most treasured memories. This may be the best reason of all—you’ll simply feel happier when you get the time off that you need. In a 2010 study, for example, researchers found that those planning a vacation were happier than those who weren’t. Those who felt their vacations were relaxing also felt better for at least two weeks after returning. That means that anticipating a vacation and enjoying a relaxing vacation can make you happy if you’re doing it on a regular basis. Based on this finding, researchers suggested taking several short breaks throughout the year as the best approach to feeling happier all year long. Best of all, getting away for a few days can help you gain new perspective on your life and the choices you’re making. You can look at the overall picture, and decide if you want to continue doing things as you are, or make some changes for the better. It’s harder while you’re in the midst of your daily routines to think about these things, but once you’re away and enjoying some new sights and sounds, you can allow your brain to reflect and imagine how you may make improvements in your life. Are you taking time off this month? SourcesSarah Doiron, “Study: 662 million vacation days go unused per year,” WPRI, January 30, 2018, https://www.wpri.com/news/local-news/study-662-million-vacations-days-go-unused-per-year/1082548282.E. S. Epel, et al., “Meditation and vacation effects have an impact on disease-associated molecular phenotypes,” Translational Psychiatry, 2016; 6:3880, https://www.nature.com/articles/tp2016164.Ruth Ann Atchley, et al., “Creativity in the Wild: Improving Creative Reasoning through Immersion in Natural Settings,” Nature, December 12, 2012; http://journals.plos.org/plosone/article?id=10.1371/journal.pone.0051474.Center for the Advancement of Health, “Vacations May Improve Your Health,” ScienceDaily, September 22, 2000, https://www.sciencedaily.com/releases/2000/09/000922072149.htm.Lolly Daskal, “4 Scientific Reasons Vacations are Good for Your Health,” Inc, June 13, 2016, https://www.inc.com/lolly-daskal/4-scientific-reasons-why-vacation-is-awesome-for-you.html.Jeroen Nawijn, et al., “Vacationers Happier, but Most Not Happier After a Holiday,” Applied Research in Quality of Life, March 2010; 5(1):35-47, https://link.springer.com/article/10.1007%2Fs11482-009-9091-9. What are Dermocosmetics, and Should You Be Using Them?